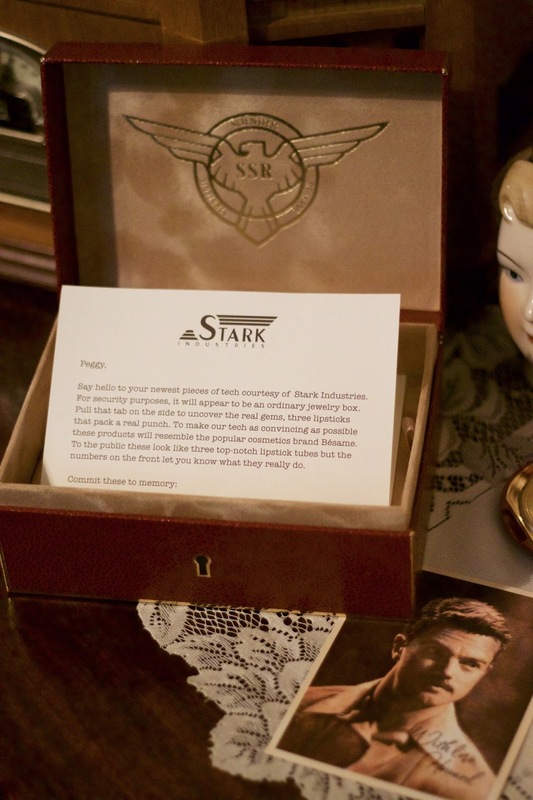 I am extremely excited to share what is in the mystery box from the most anticipated "Agent Carter" collection by Besame Cosmetics x Marvel. Agent Carter is my favorite female heroine, I first read about "Peggy Carter" in the early Captain America comics where she was portrayed a little differently than our beloved Agent, but she was still a great character in those early on issues. Today's Agent Cater is a strong heroine who dominates in a man's world, proving that she can play hard like the men in the SSR. Peggy knows her value & she is determined to show the world that a woman can conquer anything that comes her way. The hit tv series "Agent Carter" was set in the 1940s, an era where women were stuck doing desk work, & men were taking all the leads. 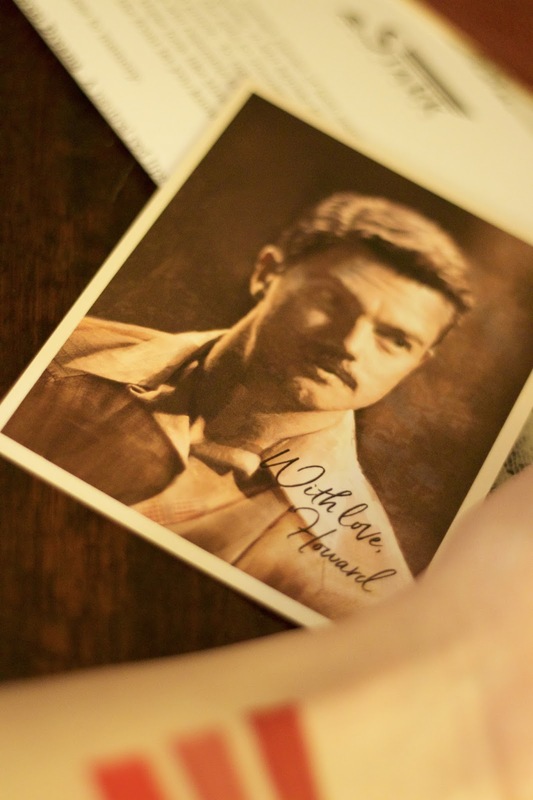 After Steve Rogers *Captain America* is thought to be gone, Howard Stark finds himself in great need of assistance when he finds out he is being framed for supplying deadly weapons to bad guys. 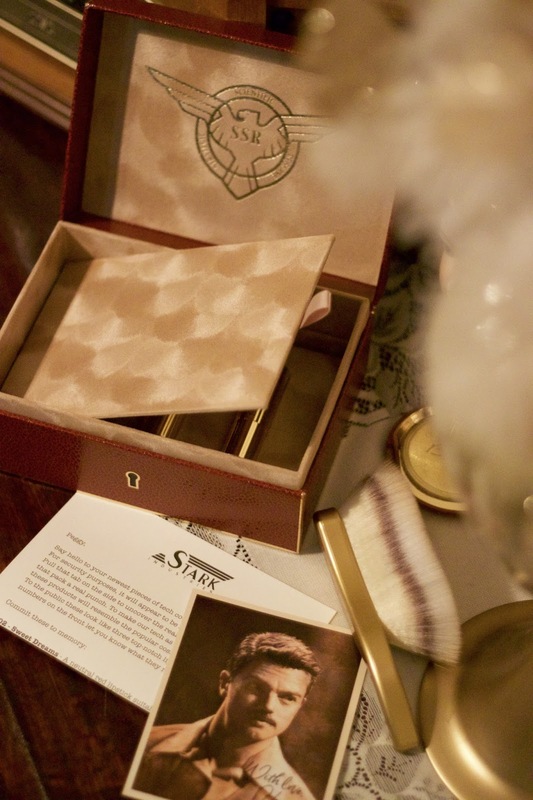 He reaches out to Peggy hoping she will secretly work as a double agent with his trusted butler Jarvis to help dispose of those weapons & clear his name. The tv series ended after two seasons, but the character made a huge impact & she has become a cherished character in the Marvel Universe. 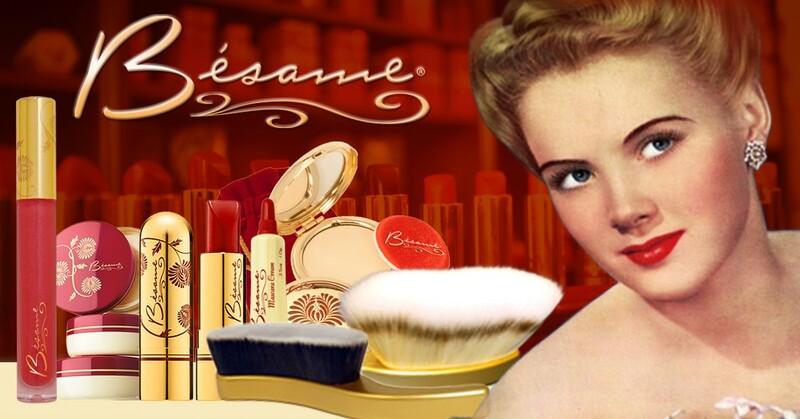 When I found out that Besame Cosmetics teamed up with Marvel to create a top secret Agent Carter collection I was unbelievably thrilled, thee idea of my favorite vintage inspired cosmetic company making a collection based on my favorite female hero was so exciting I just couldn't believe it, & now I have a piece of the most anticipated collection in my hands. 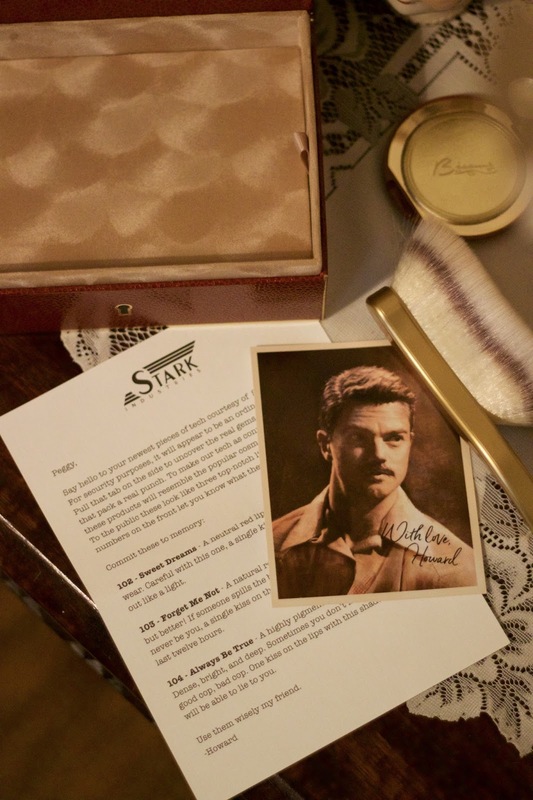 This mystery box was secretly sent out to those who signed up for the Agent Carter newsletter, once you received the newsletter in your inbox you were able to click a secret link that would reveal the option to order the Mystery Box. Before the box was released Besame gave out a parking ticket that had a code & if you were able to crack the code you were given some secret clippings with even more clues to try & solve. Of course I had to become an agent like Miss Carter to solve the mystery which I did. 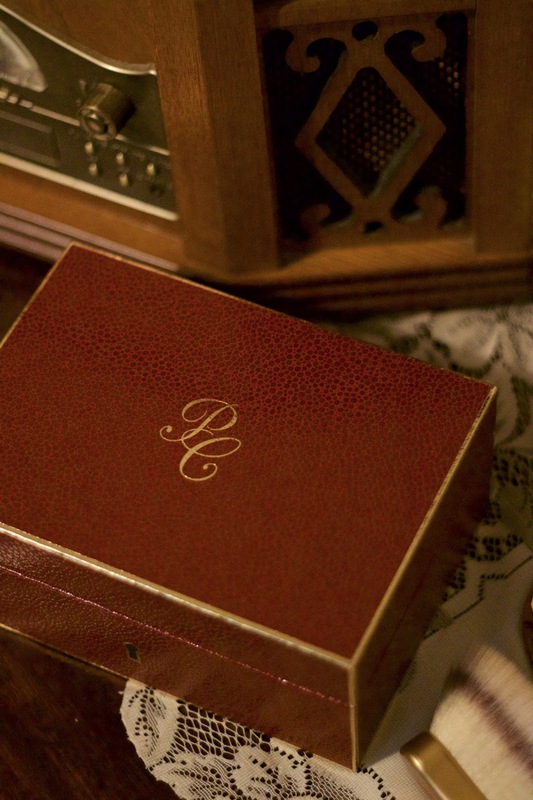 I ended up finding out that there was a hidden message from Howard regarding the numbers 102,103, & 104 which has a very important meaning as to what is in the mystery box. 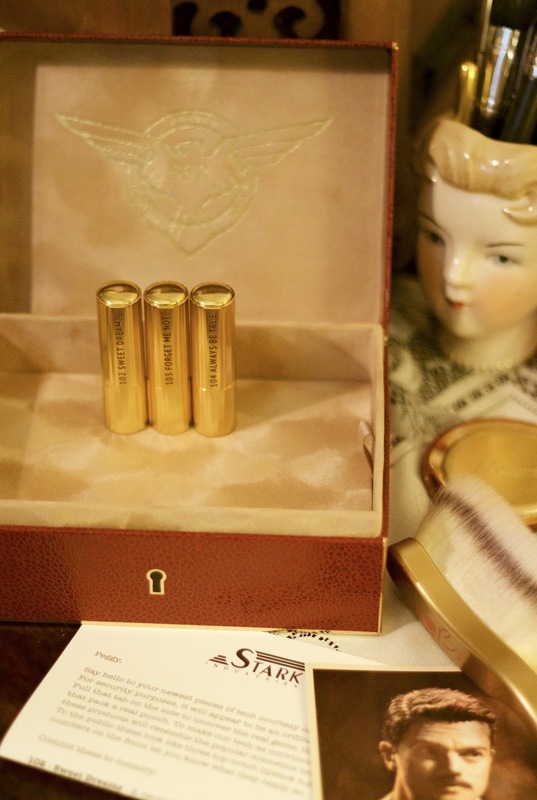 I am really in awe of this packaging, it reminds me of my 1940s true vintage train case from Samsonite. I love the deep burgundy faux crocodile exterior & the SSR gold logo against the camel suede like interior. P.s isn't Howard a dream boat? 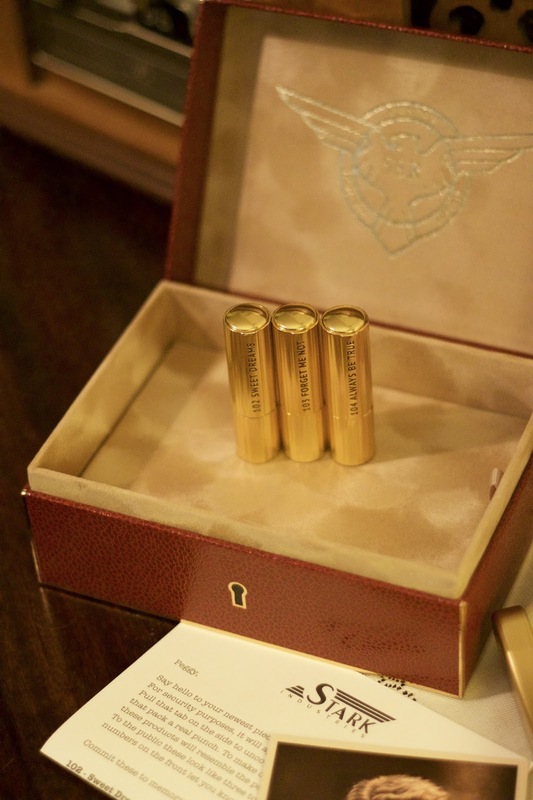 After reading the lovely letter from Mr. Stark I was eager to open the mystery compartment, I was then greeted with the numbers 102, 103, & 104 engraved on gold plated lipstick tubes. 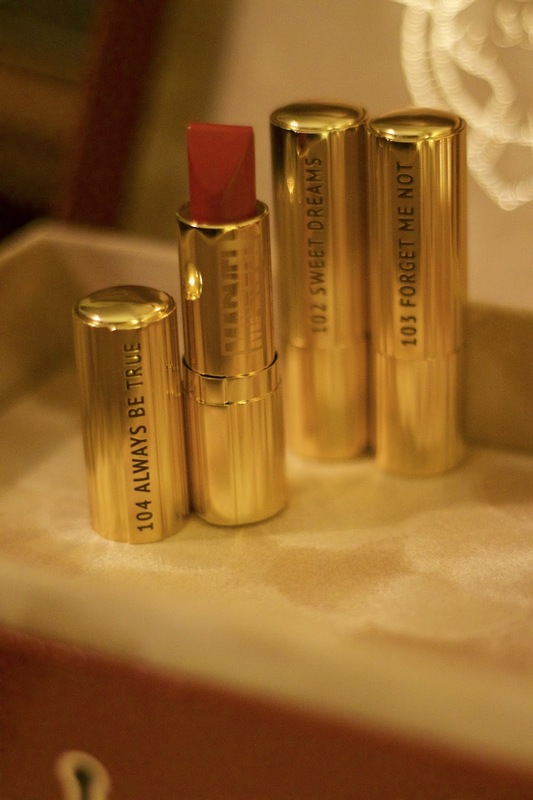 If you have seen the first season of Agent Carter you will remember the lipstick that packed a punch, Peggy uses 102 Sweet Dreams to knock out a man while searching for need to know information. 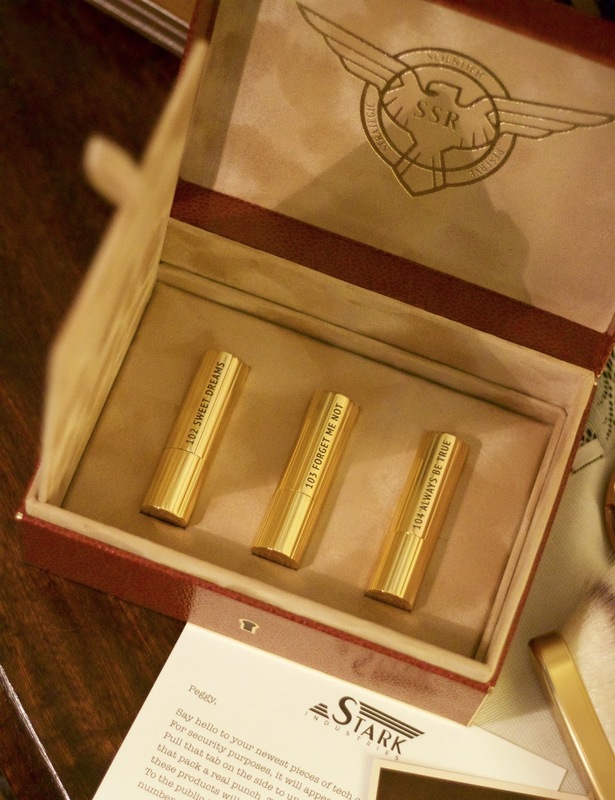 I really love that Besame recreated an exact replica of the iconic lipstick tube that Peggy uses in the tv show, aside from her thigh gun holster the high tech lipstick is one of my favorite Agent Carter accessories. 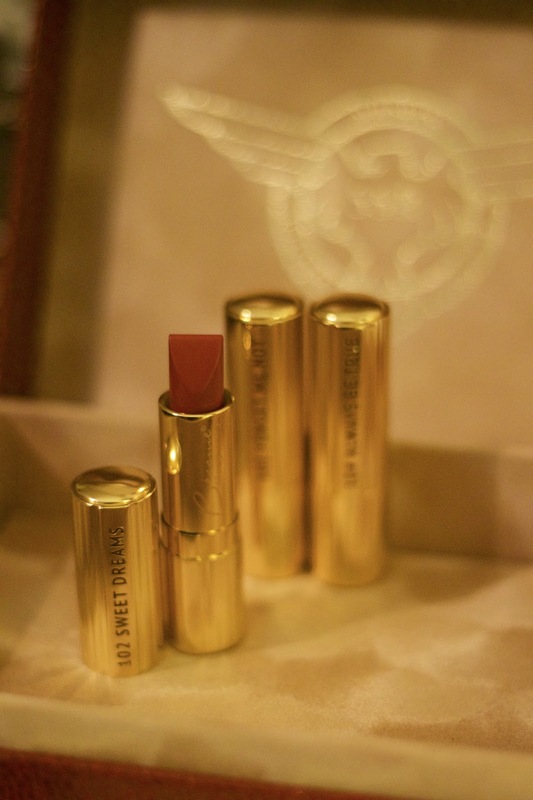 "A neutral red lipstick suitable for everyday wear. & your date will be out like a light. " "A natural rose shade that looks like your lips but better! & they won't remember the last twelve hours." "A highly pigmented & saturated red. Dense, bright, & deep. Sometimes you don't have the luxury of good cop, bad cop. One kiss on the lips with this shade & no one will able to lie to you. " The formula is a creamy smooth matte finish great for long wear! 102 is Red Velvet, a color I absolutely love & adore, I actually wear it quite often. 103 is Dusty Rose, very mauve & soft perfect for everyday wear. 104 is Red Hot Red, a fiery bright & bold red that Marilyn Monroe would definitely wear. 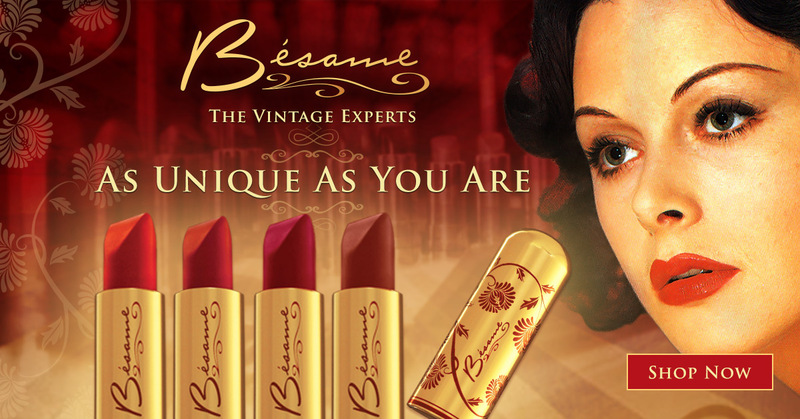 These lipsticks are apart of the current Besame collection however, they are absolutely dreamy to wear. 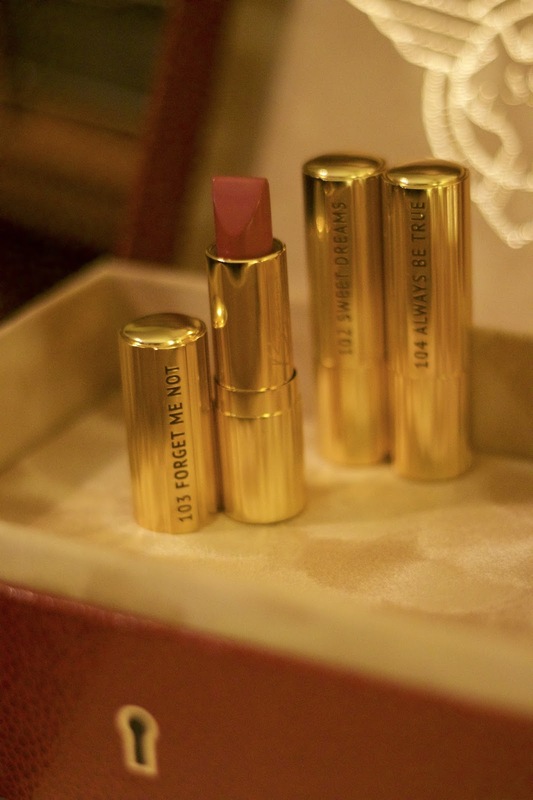 They are not limited edition lipstick shades so you can purchase the classic became bullet version over & over! 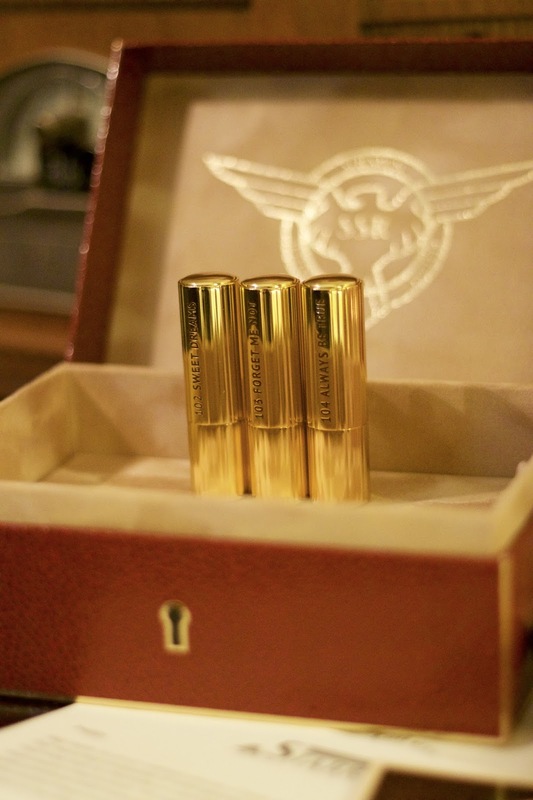 The Agent Carter numbered tubes however are limited edition. the actual color may vary deepening on the lighting. & the review is strictly based on my own thoughts. Oh gosh, I literally just squealed with happiness that my two favourite shades (Red Velvet and Dusty Rose) are in this! I've never tried the Red Hot Red and I am pumped. So so glad I decided to try parcel forwarding to get this box! I cannot WAIT for this to get to me!! Thank you for the preview! Thank you for stopping by my blog! I totally appreciate it! Awe yay! 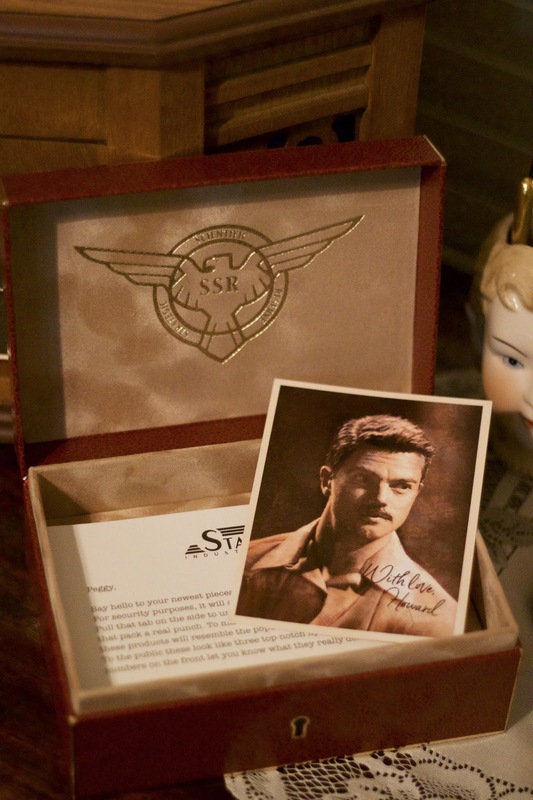 I am glad you are extremely excited about this mystery Agent Carter package. I hope you like the rest of the Collection. I can’t wait to see it in person! Thank you for posting this. I am happy I don't have these colors! I have the dusty rose from the sample set and love it, but if I had the full size of these before I would be a little let down. 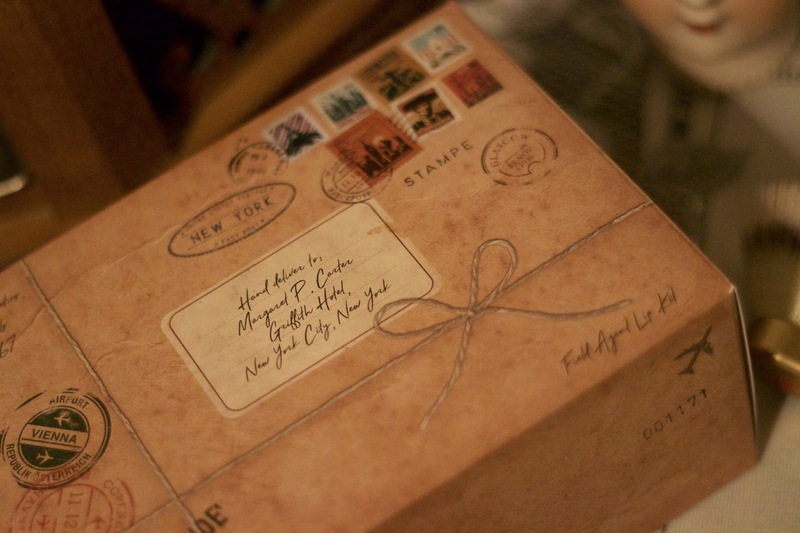 Love the packaging though. Thank you I am glad you enjoyed the post! I couldn’t wait to write about this amazing set. 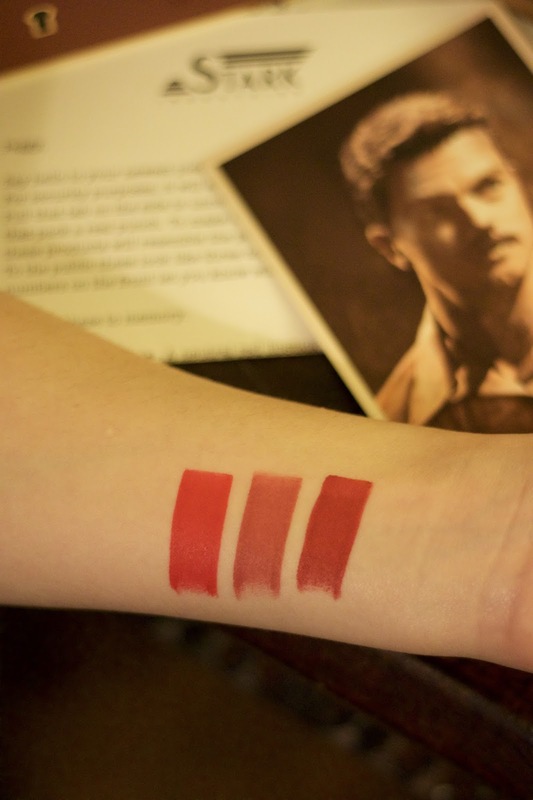 I’ve had Red Velvet for quite sometime it is one of my favorite shades & they really did use Red Velvet on Peggy for the 102 Sweet Dreams Shots in the actual TV Series Agent Carter. So I love knowing that. 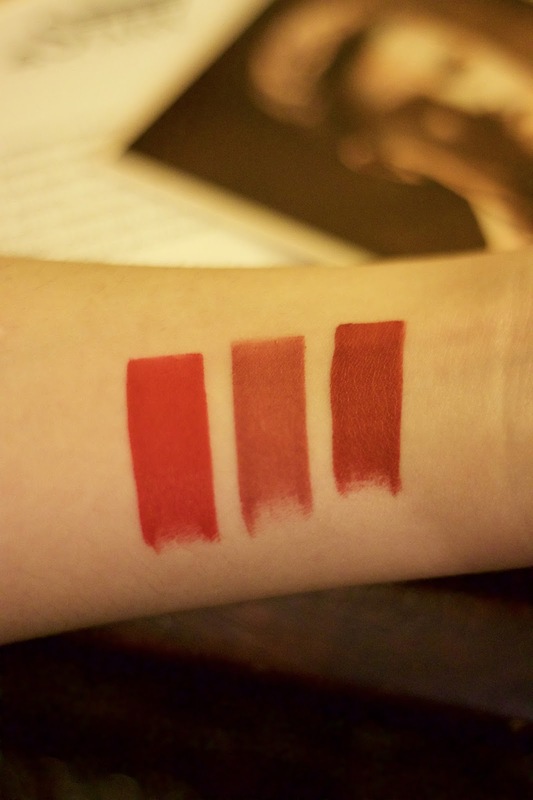 I already have a full size Red Velvet but wanted a new one anyway, and it was always pretty much a given that it was going to be a part of the collection as it's literally Peggy's red AND is the Sweet Dreams lippie so Im loving getting it in this format. I wanted a full size Dusty Rose and was going to buy one at the same time I purchased from the AC collection and now I don't have to! Even if I had all three in full size, I think the majority of the fun of it, is that limited edition show packaging and that box. 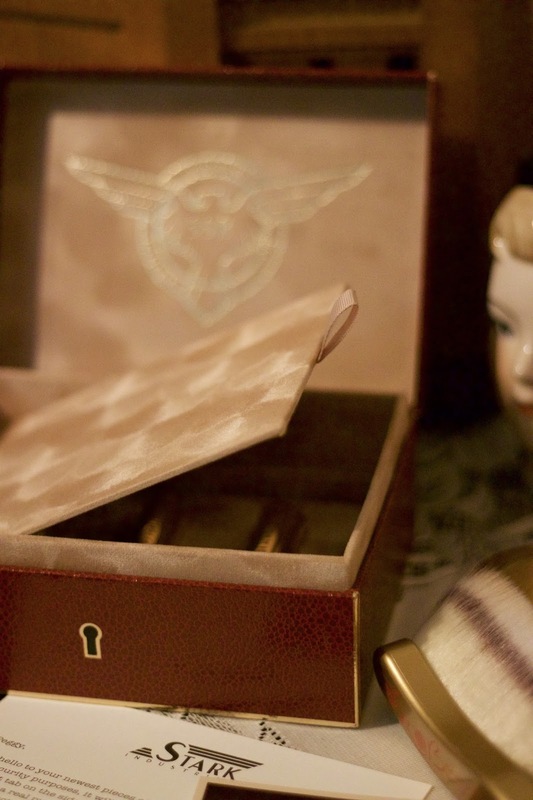 I cannot wait to store all my Besame goodies in it. 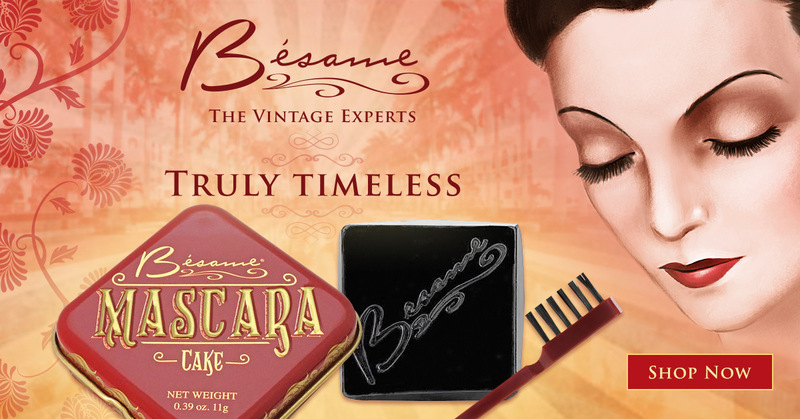 I've been searching for just the right vintage looking storage for my Besame cosmetics and now i'll have it and i'm stoked! Hi! I was wondering about the "jewelery box"...is it like cardboard with decorations? Is it sturdy enough to hold other things or would you say no? Thanks for the preview and descriptions, by the by!! Hii! Thanks for visiting my blog! The Jewelry box seems pretty sturdy to me. Hi! 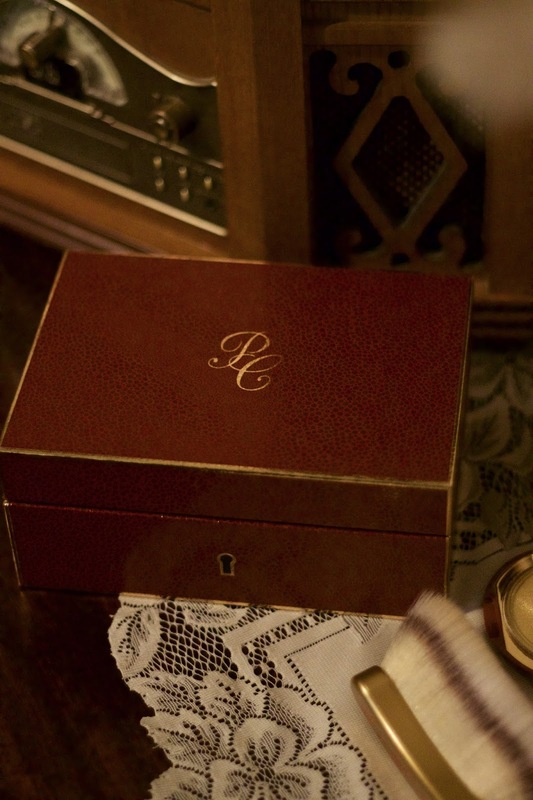 I was wondering about the jewelry box... would you say it was flimsy- like made of cardboard and then covered with decorations, or is it more sturdy than that? Thank you for the preview of this collection !! Thanks so much for this post!! I was subscribed to the newsletter on like two different emails and still the original secret link never worked for me so I was only able to find it after Gabriella posted on her Instagram! I’m glad though because I got to see from you what I was spending on lol. And your photos and descriptions are beautiful, I gladly pulled the trigger. 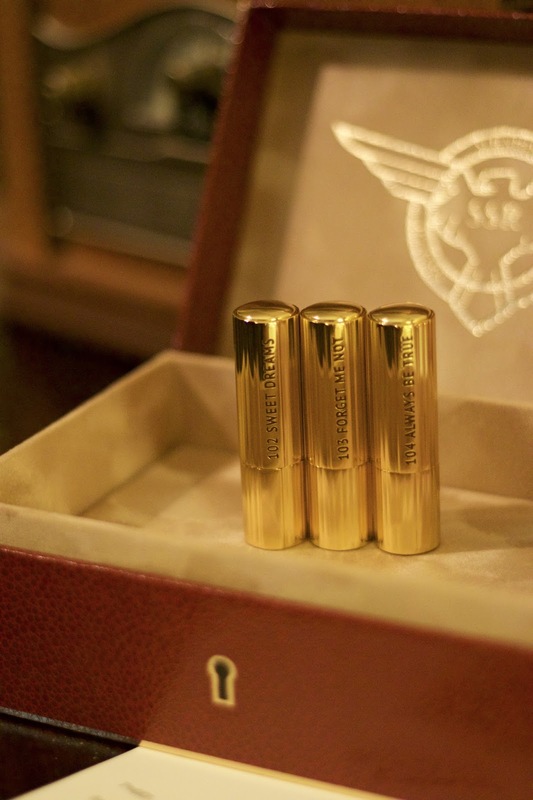 I’m a little disappointed they’re not exact replicas of the lipstick casings from the show being the packaging wizards they are but they’re still awesome! I can’t wait to see what else they put out!